Time: 5K - 8:00 a.m.
Fun Run - 9:00 a.m. 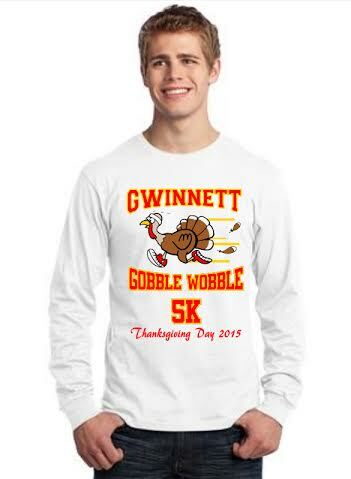 Course Info: The Gobble Wobble 5K takes place along the paved paths of beautiful Little Mulberry Park in Dacula on the Fence Road side of the park. Awards: Pumpkin Pie and Trophies to the first overall Male and Female winners as well as Masters Male and Female winners. Medals given to the top three finishers in male and female 5 year increment categories from 10 and under all the way to 65 and up. Long sleeve t-shirts guaranteed to all pre-registered participants. We are asking for everyone to please bring a canned good item or non-perishable food item to donate to local Co-ops and food pantries.